Unless you've been living under a rock (type Pokémon), you've probably heard about the latest Pokémon Go craze taking over the country! Corpus Christi is no exception. In just a short amount of time people of all ages have discovered the fun that the mobile app provides (including getting outside and walking around). There are little kids playing with their parents, teens with their friends, adults, and even our senior citizens joining in the fun! It's been so nice to see our community come together and hearing positive news like people are being more active and interacting with each other. I've had fun walking around our neighborhood or driving around catching Pokémon and hitting the Poké Stop. Don't worry, I drive while my 8 year old is doing the catching. She loves how they "jump" in the car. 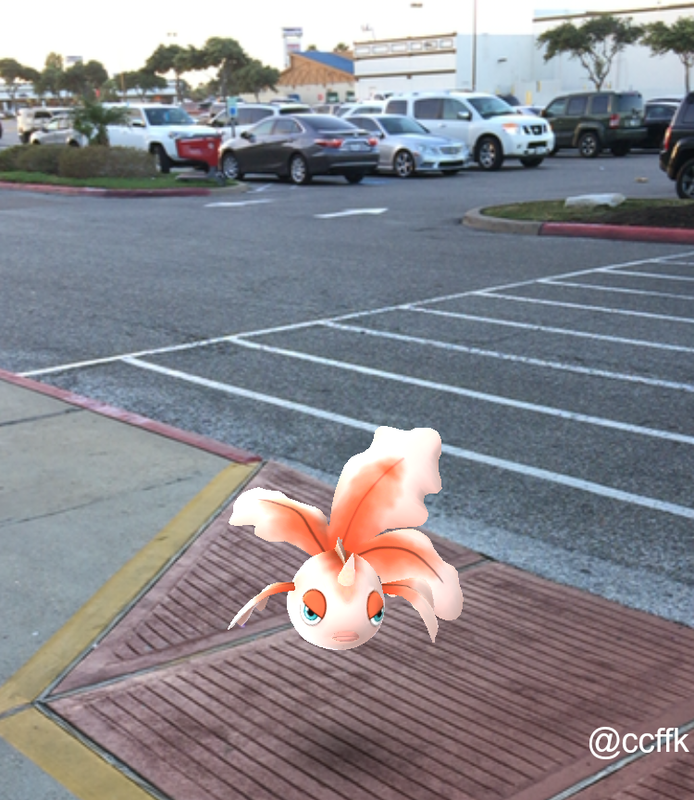 My teen daughter is doing it too, going out to the popular Cole Park and Watergardens stops to catch them. Not sure what Pokémon Go is all about? Our friends at San Antonio Mom Blogs have an excellent guide for parents that explains all about what it is as well as has some handy tips and precautions! Lifehacker also has A Parent’s Guide to Playing Pokémon Go With Your Kids. Local area businesses and organizations have also jumped in on the fun with some cool events for all you Pokémon trainers. We've got some here and we will be adding to this list as they're updated. There are some un-official events but those are usually very late in the evening so we didn't include those. Want to add your event? Let us know! If you want to use the information found here, please be courteous and link back to this site. Compiling is hard work! There are three Pokémon Gyms and six Poké Stop at La Palmera. there will be a mall-wide Pokémon GO gathering. La Palmera will be activating lures at all six Poké Stops for the duration of the event. Calling all Trainers! We will be offering FREE WiFI and charging stations with "Trainer " Cafe Specials! Poké Stop and Gym onsite! All participants get to pick an exclusive Funtrackers Pokemon Ball to reveal free rides, games and attractions. 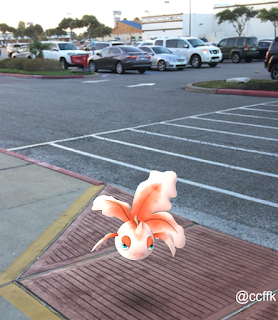 Lures dropped constantly throughout the event! Pokémon Go is sweeping the Nation! Now we are going to be adding a wrinkle. In addition to Pokémon hunting, participants will be given trash bags from Leaveitbettercc.com and will pick up trash and refuse around our Sparking City by the Sea. Muster will be at Cole Park and trash bags will be given out at that time. Tell your friends and tell your family as we celebrate both the environment and the virtual environment! Calling Team Instinct! Come hunt Pokémon with us at La Palmera as we celebrate TEAM INSTINCT NIGHT! We will be activating lures at all SIX of our Pokestops for the entire duration of the event. As an added bonus, be sure to visit Concierge (on the lower level adjacent Forever 21) and show them proof that you’re representing team YELLOW and get a chance at playing our claw machine to win some cool Pokémon swag, La Palmera Gift Cards, and much more! While supplies last. Calling TEAM MYSTIC! Come hunt Pokemon with us at La Palmera as we celebrate TEAM MYSTIC NIGHT! We will be activating lures at all SIX of our Pokestops for the entire duration of the event. As an added bonus, be sure to visit Concierge (on the lower level adjacent Forever 21) and show them proof that you’re representing team BLUE and get a chance at playing our claw machine to win some cool Pokemon swag, La Palmera Gift Cards, and much more! Stay tuned for a list of participating merchants for our Pokemon GO: Team Mystic Night! Shop, visit and enjoy shaded seating while you listen to live music and enjoy dinner right on our beautiful Bayfront. During Market hours lures will be activated, making it the perfect place to catch Pokemon, grab a bite from the food trucks and support local businesses! Calling TEAM VALOR! Come hunt Pokemon with us at La Palmera as we celebrate TEAM VALOR NIGHT! We will be activating lures at all SIX of our Pokestops for the entire duration of the event. As an added bonus, be sure to visit Concierge (on the lower level adjacent Forever 21) and show them proof that you’re representing team RED and get a chance at playing our claw machine to win some cool Pokemon swag, La Palmera Gift Cards, and much more! While supplies last. Stay tuned for a list of participating merchants for our Pokemon GO: Team Valor Night! Solace is hosting a Pokemon Go Event during the Island Farmer's Market. We will provide 2 hrs of lures from 7 to 9 pm at each of the 3 Poke Stops at the Park. This will create a Pokemon Catching Frenzy! You can also battle at the 2 Gyms located in the park and church. Come eat at the Food Trucks at the Island Farmer's Market and catch some Pokemon. Stop by the Solace booth for a charging station! Our Christmas in July gift to you is a special screening of Pokémon 2000: The Movie. Stop by our 3 Poké Stop and collect all the Pokéballs you can because lures will be dropped all throughout the event! That's right, charge your phones and get ready to catch 'em all! Wifi and charging stations available on site. Pokémon are running amok at the Texas State Aquarium and – you guessed it – we’re a gym! Trainers will experience a fun and safe environment to hunt Pokémon and enjoy the Aquarium’s grounds. We’ll be activating multiple lure modules throughout the Aquarium’s lawn, lobby, and ground floor exhibits with the exception of the inside exhibits including Dolphin Bay and the H-E-B Splash Park. Café Aqua will be open for snack and beverage purchases. There will be tasty food trucks, live music, lawn games plus they'll be dropping lures every half hour between 11 am and 2 pm! Are you ready to prove you’re the very best? 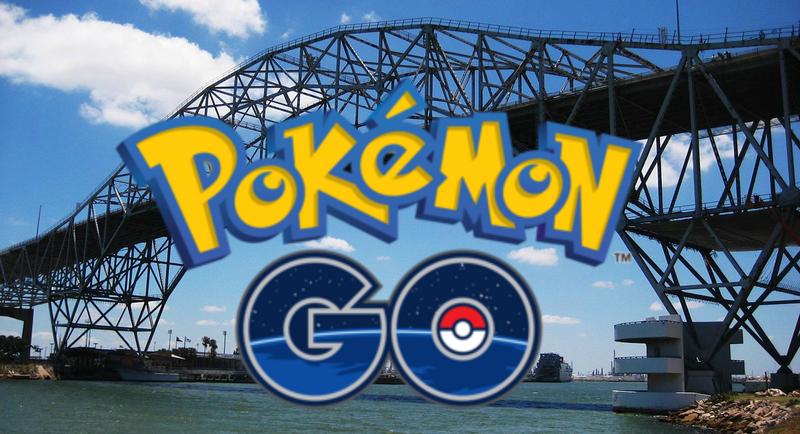 Come put your skills to the test at Texas Maritime Museum ultimate Pokémon Go event! We will have activated lure modules from 1:00 PM – 4:00 PM throughout the Museum and grounds. Cost: MUSEUM ADMISSION IS REQUIRED $8.00 - Adult, $6.00 - Senior/Active Military, $3.00 - Children ages 3 thru 12, Children under the age of 3 are free. 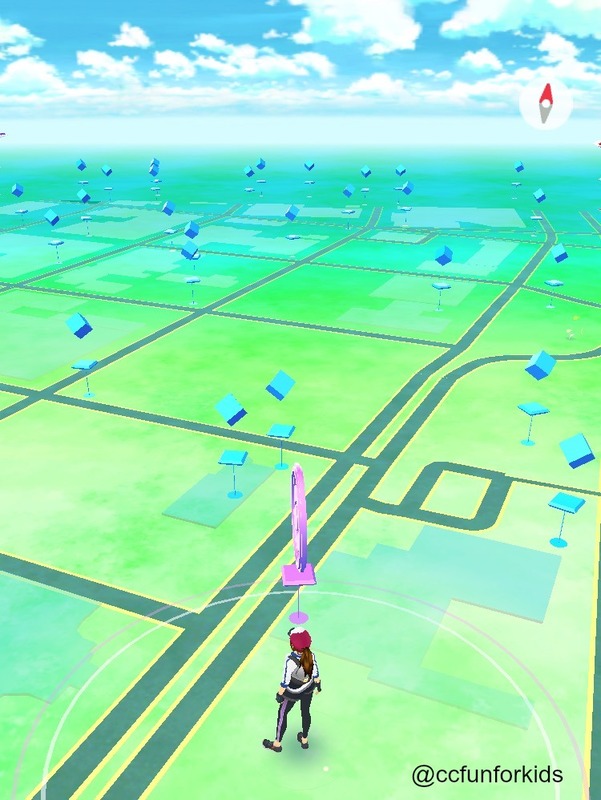 There are too many gyms and Poké Stop to keep track of but we know the action is downtown. This was our view from the Art Center of Corpus Christi (which has three Poké Stop by the way). Places like Play Again Classic Video Games like to turn on lures during the day. You'll have fun driving around and discovering the stops everywhere! Have you found a cool area with lots of Poké Stop? *This is an unofficial event meaning it was created by an individual person or group, not by a business. We are posting it because it takes place in the daytime and is is open to the public.